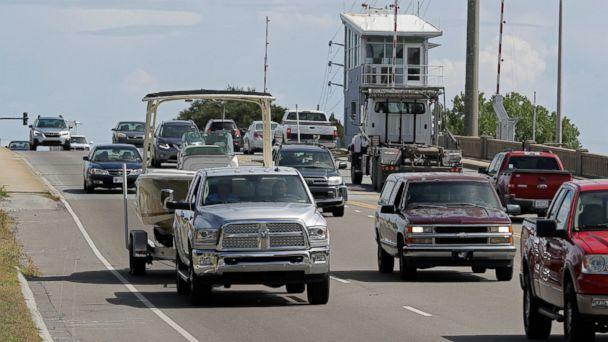 Hurricane Florence, a dangerous Category 3 storm, is expected to bring catastrophic flooding to the Southeast and may dump as much as 40 inches of rain in North Carolina alone. 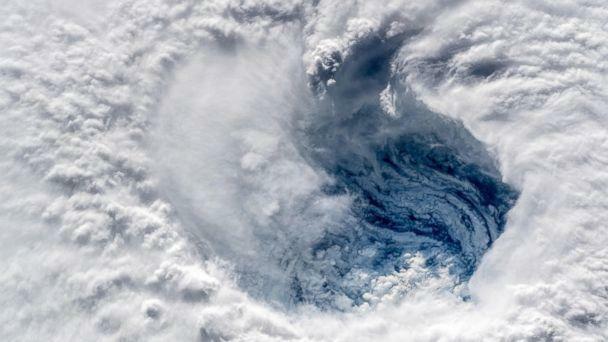 "This will likely be the storm of a lifetime for portions of the Carolina coast, and that's saying a lot given the impacts we've seen from Hurricanes Diana, Hugo, Fran, Bonnie, Floyd, and Matthew," according to one National Weather Service meteorologist in Wilmington, North Carolina. "I can't emphasize enough the potential for unbelievable damage from wind, storm surge, and inland flooding with this storm." 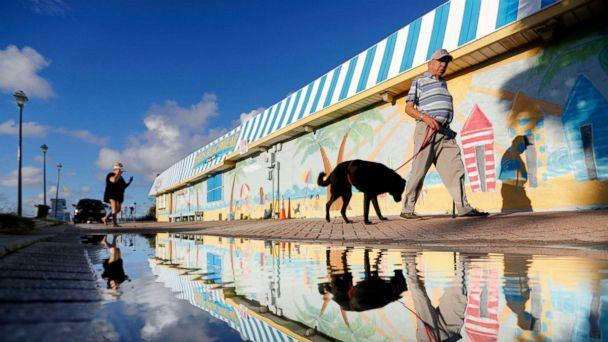 Brock Long, the administrator of the Federal Emergency Management Agency, underscored the danger of the storm surge, telling "Good Morning America" Wednesday, "People do not live and survive to tell the tale about what their experience is like with storm surge. It's the most deadly part of the hurricane that comes in, it causes the most amount of destruction." -- Overnight the storm shifted south. The coast of the Carolinas will begin to feel Florence's wrath Wednesday night or Thursday morning with gusty winds and increasing surf. -- There's a chance of tornadoes starting Thursday as the storm meanders near or over the Carolinas. -- Florence is forecast to stall near the South Carolina/North Carolina coastline into Friday night and then drift towards Myrtle Beach, South Carolina. Florence will likely weaken to a Category 1 storm Friday or Saturday. -- Regardless of where the storm makes landfall, the impact will be extreme for the Southeast. -- Hurricane conditions are expected late Thursday night into Saturday morning. -- Winds could exceed 80 mph from Thursday to Saturday. -- The life-threatening rain may last for days, flooding tens of thousands of structures, North Carolina Gov. Roy Cooper said Wednesday. -- Thousands of people are already in shelters, Cooper said. "Today is your last day to get out of the areas that have been placed under evacuation orders," FEMA's Long said. "If you don't do it now, your time is going to be running out. And once the impacts of this storm start to come in, it's going to be very difficult for first responders to get to you." 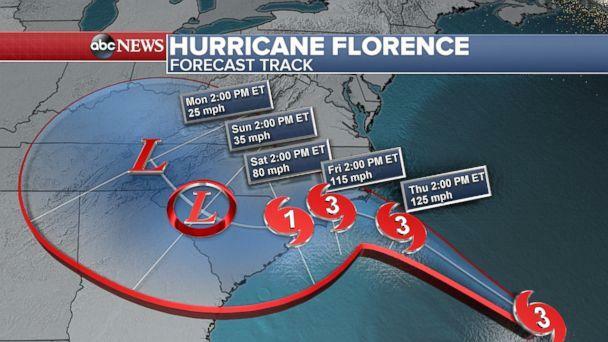 "If they say leave, leave," said Jennifer Forte, who was in Kitty Hawk, North Carolina, on Tuesday and headed toward Greenville. "And my job is closed. I work for the government, they’ve closed. The school’s closed until Friday, so there’s no reason to stay, really." Cooper, the governor of North Carolina, cautioned that high winds and floodwaters could knock power out "for several days if not longer." Latest estimates from the National Weather Service show the storm surge in the coastal areas of Wilmington, North Carolina, and Jacksonville is expected to be 9 to 13 feet. 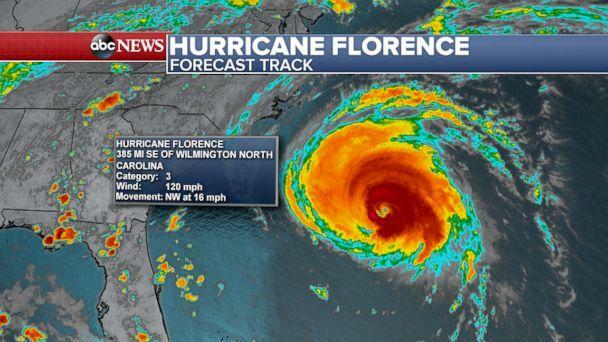 Emergency officials in New Hanover County, where Wilmington is located, said a 76-person urban search and rescue team will mobilize in the county on Thursday in case it needed. Up to 3 million of Duke Energy's 4 million Carolina customers could experience outages, the company said. 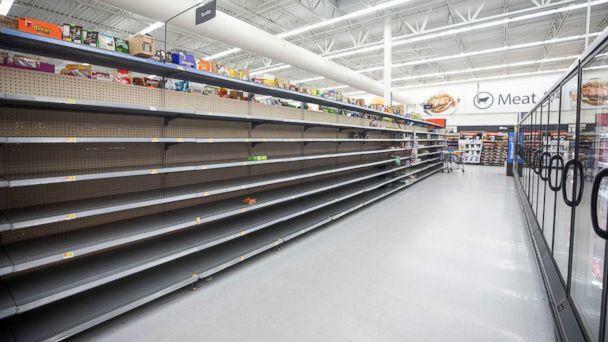 "We’ll be asking people to prepare their emergency kit," Cooper said. "Get food, water. Medications they may need. Pull together their important documents." Not everyone is packing their bags. Kelly Salisbury said she's staying put in Kitty Hawk, North Carolina, even though most of the town has left. "We’re on vacation and we have a week off and we came down from northern Virginia to have fun," she told ABC News. "Play in the water, enjoy the sunshine. Until we can’t. See what happens." She continued, "Of course we’re worried. But we’re watching the news every day. We’re keeping track of it, seeing where it's going to hit and what category it is. And if we feel the need to leave we’ll go. But we’re going to stay as long as we can." In Awendaw, South Carolina, Chris Johnson is staying behind to watch his house while his wife, Michele, is evacuating. "I'm not sure if I could go out in the middle of the storm on a 12-foot ladder to replace a window but I could be on the inside and try to do something ... or if the refrigerator goes out ... I can take care of all of that," Chris Johnson told ABC News. Michele Johnson said she's worried about her husband. But "I think he's OK with me going so I don't stress him out more. It's probably good for our marriage," she noted. Added Chris, "I think with what we know right now [with the storm track] this is the best decision for us. I think it's a great compromise. I'm glad we both came to the decision ourselves. Hopefully, the cell phone tower, which is not too far away, will still work. We can keep in touch." Virginia Gov. Ralph Northam said 59 shelters were either opened or will open by Thursday in his state and he urged residents in the areas expected to be hard hit to be vigilant. Northam also thanked President Donald Trump for rapidly approving his request for disaster declaration which frees up federal resources for Virginia, saying, "I appreciate the quick turnaround from President Trump's administration." ABC News' Gio Benitez, Steve Osunsami and Rachel Katz contributed to this report.